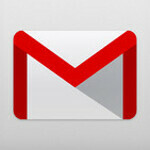 An updated Gmail for Android has started rolling out in the Google Play Store. This wasn't totally unexpected considering that last month we showed you some leaked slides from a Google I/O conference that showed some changes to the application. For Android smartphone users sporting Android 4.1 or higher, the update allows them to reply, archive or delete email from the notifications shade without opening the app. Want to refresh the inbox to see if that mail that was just sent has arrived? Now, all you need to do is "Swipe down to refresh". And certain icons that were on an action bar at the bottom of the screen like compose, and search, are now on a top action bar. Those with Android 4.0 or higher will notice a faster search, even when offline, and there is the usual bug fixes and performance enhancements. For those still rocking a phone using Android 2.2, the update brings improvements to performance and adds new Labels API for third party developers. And we can't forget the new swipable sidebar labels. The update will eventually show up in the Google Play Store, if not today, than tomorrow. If not tomorrow, than the next day. In other words, this is an update that will be pushed out to the Google Play Store in waves. If you're that impatient, you can sideload the updated app from this link. It seems to be getting less clustered to me. The new tabs work much better than my filters though it would be nice to be able to create a custom tab... But overall great improvements imo. Though as always, change is not for everyone. Seriously the update looks great!! !